We are delighted to announce our partnership with Fit Studio Ltd in Peterborough. Here our students will attend weekly sessions to improve their fitness, strength and focus on injury prevention in specialist Strength and Conditioning coaching. Students will also be able to conduct their own workouts following individual tailored made programs specifically put together for each player by the team at Fit Studio Ltd.
Karl & Lee, Fit Studio owners and qualified personal trainers will also be taking group sessions to put the players through their paces, striving to improve their match day performance. This new partnership will only improve and enhance our provision to our students. On Wednesday 22nd May 2019 we will be taking our students to visit Manchester City FC. The day will consist of a full stadium tour as well as experiencing the Academy facilities. This will give our students an insight as to how one of the biggest clubs in the world works. Our next open event is on Tuesday 16th April 2019 from 1:00pm till 3:00pm at the Netherton Utd FC, The Grange, PE3 9ES. In the invitation league we have finished our league with fourteen games played, won eight, drawn three, lost three and a goal difference of plus fifteen and a total of twenty seven points, other clubs are still to complete their fixtures. In the Championship league we have played seven, won three, drawn one, lost three, which gives us ten points. There are still fixtures to be played in the month of May. 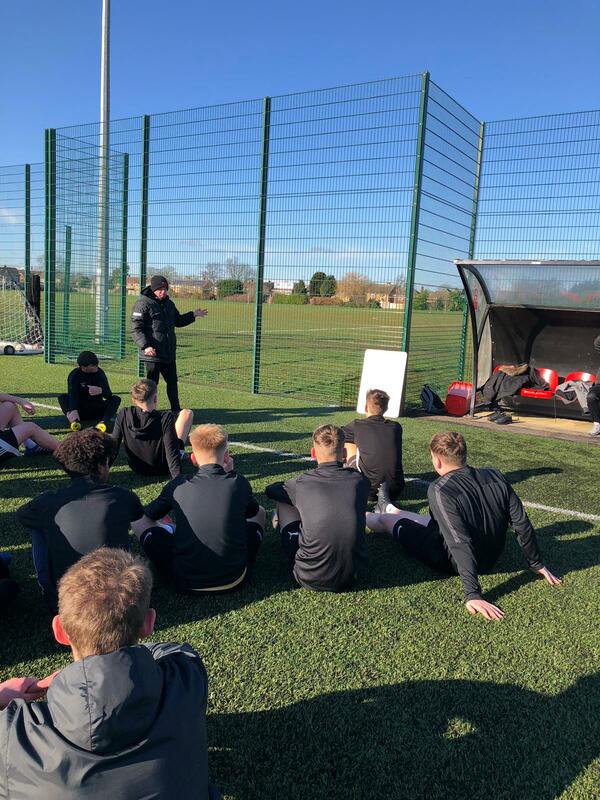 Our partnership has gone from strength to strength with Netherton Utd FC as we now launch a midweek team, which will offer our students the fantastic opportunity of competing in the FA youth Cup and Northants U18 floodlight league. This is open to our scholars as well as other footballers that wish to represent the club in some top competitions. We have an open event on Tuesday 9th April from 8:00pm till 9:00pm at Netherton Utd FC. Glenn Vaughan commented, “This term has been a positive term but a very busy one, all of us are ready for a best to recharge to batteries ahead of final week of the academic year. It is also a very busy time as we continue to recruit for our next season scholarship programme and midweek team which will see us offer so much more football that anyone else in the city can offer”.